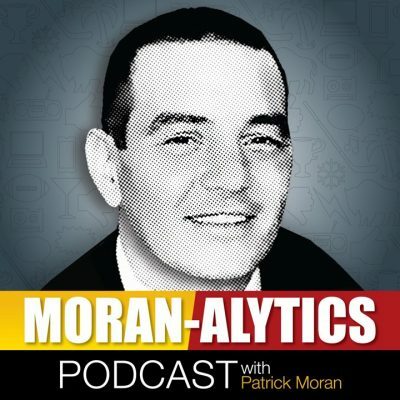 On this episode of the Moran-Alytics Podcast, Patrick Moran scores an interview with arguably the greatest offensive tackle in Buffalo Bills franchise history. Will Wolford joins for an extremely rare interview covering a wide variety of topics. Going all the way back to the start, Wolford talks growing up in Louisville, Kentucky with basketball as his favorite sport, only playing youth football because his father made him. Wolford became a two sport star in high school, making honorable mention for All-State in basketball. However, it was football that presented the best opportunities despite suffering some key injuries and an illness. He was recruited by Notre Dame, Kentucky and Tennessee among other teams and ultimately chose Vanderbilt after Notre Dame pulled their offer, where he became a standout guard and tackle and All-SEC selection. Wolford parlayed his talent and size into a first-round NFL draft pick in 1986 when the Buffalo Bills moved up to No. 20 overall in a trade with San Francisco to take him. Wolford recounts the draft process and his feelings the moment he realized he was going to Buffalo. He stepped into an organization that was horrible as a rookie, coming off consecutive 2-14 seasons. Wolford recalls players smoking cigarettes in the locker room with cases of all over as well. He also tells a stunning story of a 1986 game in Tampa where the team knew a loss would result in Hank Bullough’s firing. Most of the veterans despised Bullough as coach and the team intentionally lost the game, leading to his ouster and the arrival of Marv Levy. Wolford talks about the turnaround and what would become the Super Bowl era of Bills football, the memories he had in Buffalo and the bittersweet emotions after signing the contract with Indianapolis in 1993 that contained the infamous “poison pill” clause making it impossible for Buffalo to match. Will explains in great detail the conflict with the deal and the heartbreak not only he felt, but his wife as well. The interview wraps with an update of Wolford’s post-career, what he’s up to now and his thoughts on his nephew John Wolford, who’s tearing up the AAF with Arizona. Of course, no Moran-Alytics Podcast guest star interview is complete without the Mini-Lightning Round, and we learn of several Wolford favorites, including a city in Australia as his favorite place to visit. He’s not on Twitter much, but you can shoot John a follow there at @Wolf6769. After the interview Moran does his first Buffalo Bills four-round NFL mock draft in real time. The computer makes simulated selections for the other 31 teams and Moran makes five picks for the Bills, explaining his rationale for each. It’s a segment he’s planning on doing each episode between now and the NFL draft that begins on Thursday, April 25th.